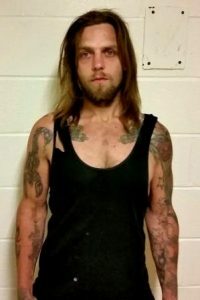 CLEARFIELD – A DuBois man accused of breaking into multiple businesses was sentenced to state prison Monday in Clearfield County Court. Justin Earl Craig, 30, pleaded guilty to burglary in four cases and attempted burglary in a fifth case. President Judge Fredric J. Ammerman sentenced him to 42 months to 10 years in state prison in each case. The sentences will run concurrently. He must pay over $7,800 in restitution. Craig chose to address the court prior to his sentencing. He apologized to the businesses. He admitted he was addicted to drugs and said at one point was living out of his car. Previous reports state that Craig was apprehended in Reynoldsville after he tried to burglarize a hardware store there on May 18. He was able to escape custody and was on the run for 47 days. He was avoiding capture when he committed these crimes in May and June in Clearfield Borough and Lawrence Township. According to the affidavits of probable cause, a police officer on his way to work spotted Craig in the area of Mike’s Auto Repair in Lawrence Township on May 30. When other officers arrived on the scene, they were unable to locate Craig. The next day, it was reported that someone had tried to break into Mike’s Auto Repair. That same night, someone broke into Agway, Clearfield Tire and H & H Hardware along West Second Avenue in Clearfield Borough. All three of these businesses had been entered in a similar manner by a door that had been pried open. On June 25 police were called to the Clearfield Mall where a burglary had occurred at the Puff Super Value Tobacco Outlet. Among the items missing were lottery tickets. The tickets were voided and it was later reported that someone had tried to cash in a few of the tickets. Surveillance video of the store showed a man, and he was contacted at his home and taken to the police station for questioning. At first the man claimed he found the tickets in the garbage, and then he said he found them at the side of the road. Eventually he admitted he got the tickets from Craig. He denied knowledge of the mall burglary but said he was helping Craig out with food. He gave police information that led to them finding a tent where someone had been camping out near the Dubec Road/Cobble Stone Bridge area. In addition to the tent, they found cigarettes of the same brand stolen from the store, and shoes similar to those used in that burglary. The man was questioned again. He agreed to contact Craig and said he would try to talk him into turning himself into authorities. Later that day, he and Craig both arrived at the Lawrence Township police station. Officers said it appeared Craig had been outside “for some time” because his clothing was dirty and he had heavily scratched arms and legs. Craig admitted to the burglaries but noted he only committed commercial burglaries, not residential ones. According to online court documents, Craig is scheduled for jury selection in Jefferson County for the Reynoldsville burglary on March 6.